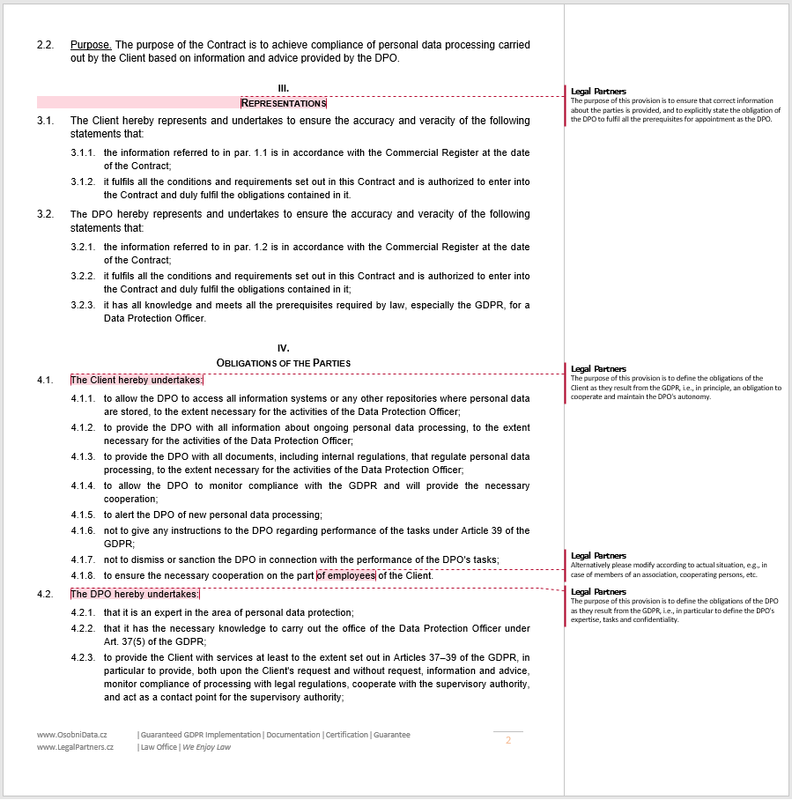 GDPRset.com is a quick and affordable way to solve GDPR. Take advantage of our magical tools, the supervision of lawyers at Legal Partners and our Zero penalty guarantee. We've already helped more than 2,300 companies, entrepreneurs, municipalities, schools, associations and co-ops. 1) Sign up and enter the section for registered users. Download all the specimen and publications available in th section for FREE. 2) Download the manual called the Quic GDPR Implementation Guide. 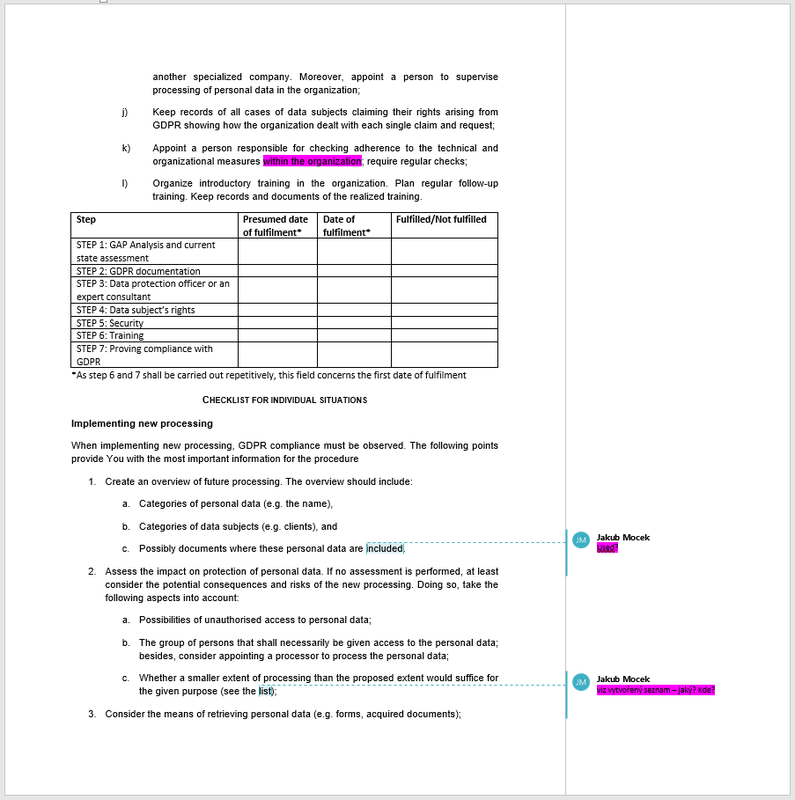 Go through the document and fill out the so-called Basic Chart. If anything is unclear, consult the downloadable Methodology. 3) Once you've filled out the Basich Chart in the guide, use it to set up individual Groups, i.e. 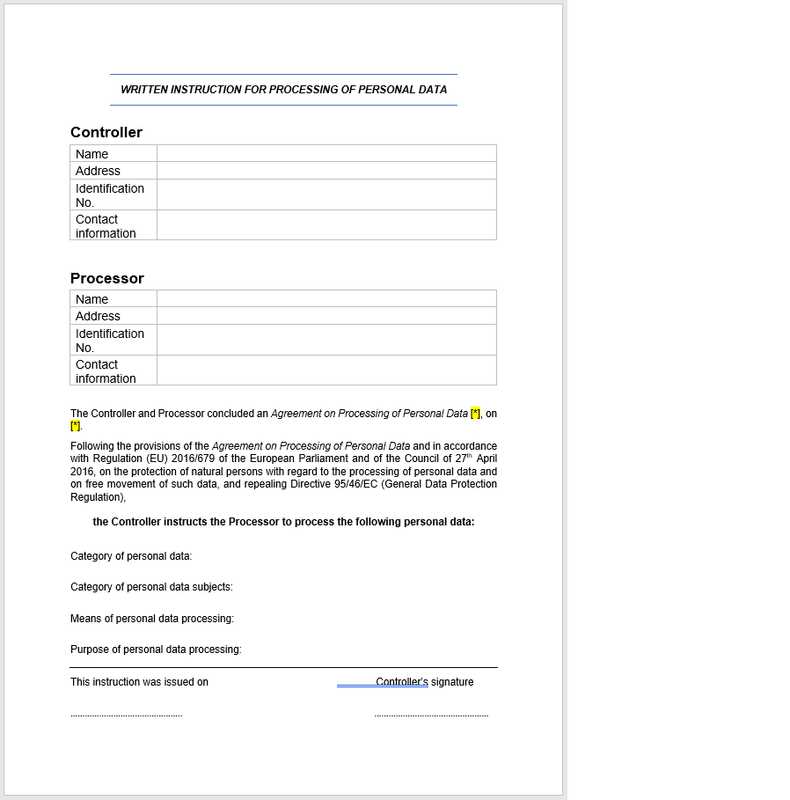 categories of natural persons whose personal data you process, in Module 3 (Tools). Then, fill out a Profile for each Group. Use the guidelines given by the Prompter in the tool. Finally, check whether the automatically generated Information Board assigned the information you filled in to respective individual Groups. 4) Done? 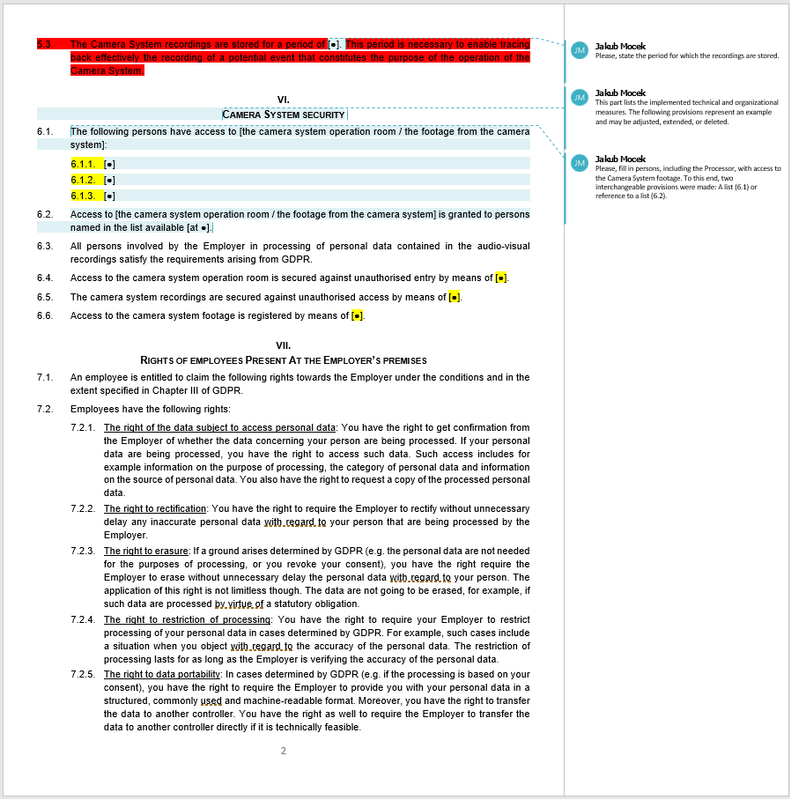 Ask for a review by a lawyer in Module 4. If everything is correct, the lawyer sends you a confirmation email, qualifying you for the certificate in Module 5. If the lawyer finds deficiencies, you'll receive specific recommendations for adjustments or the lawyer may adjust necessary items themselves. 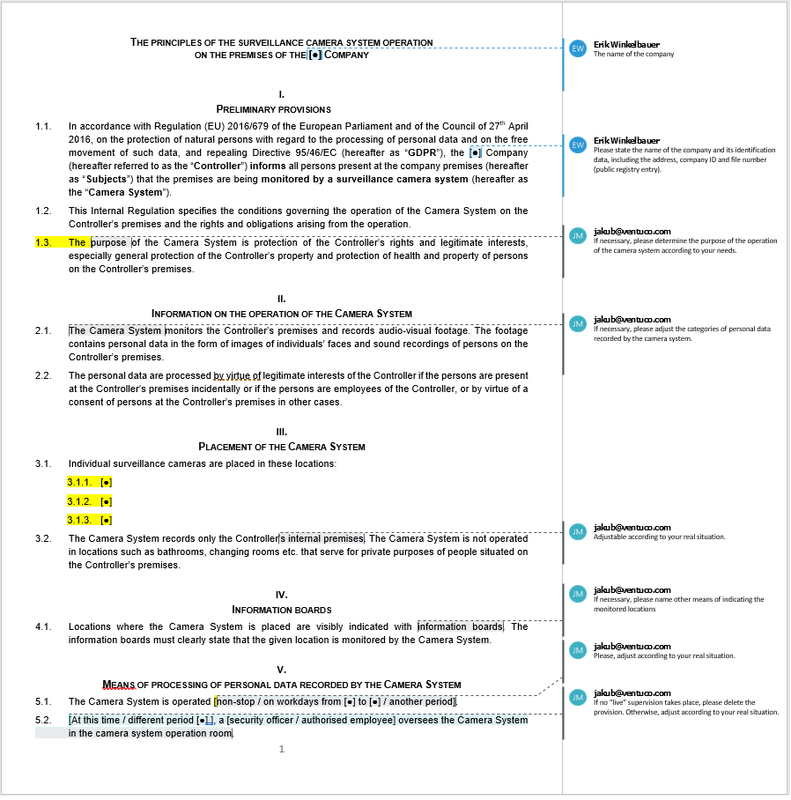 Module 2 gives you a large set of model GDPR documentation in the .doc format. 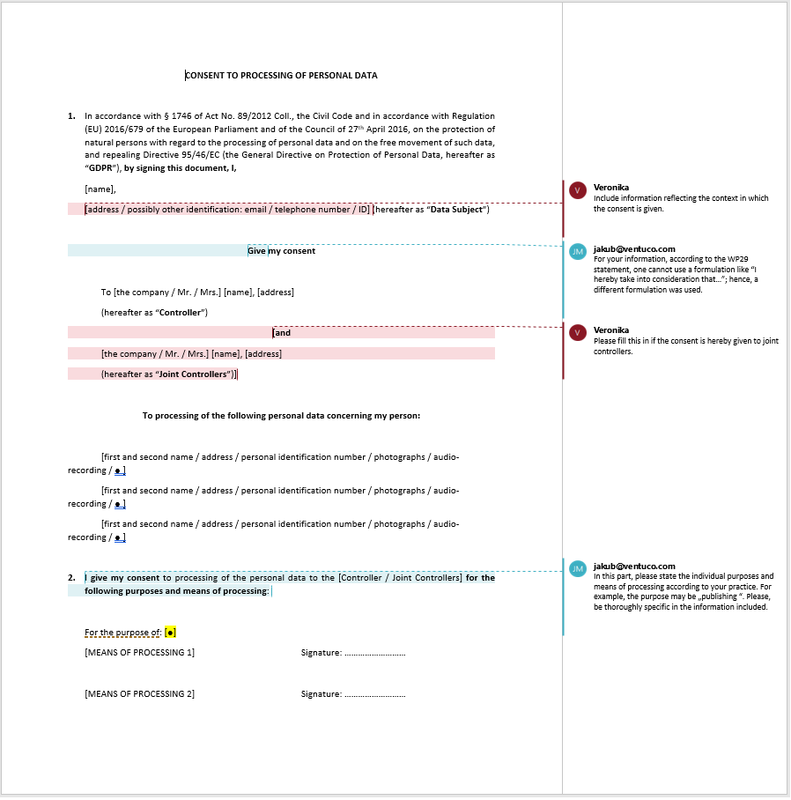 Adding a few items into the documents, you can easily use them in your organization. 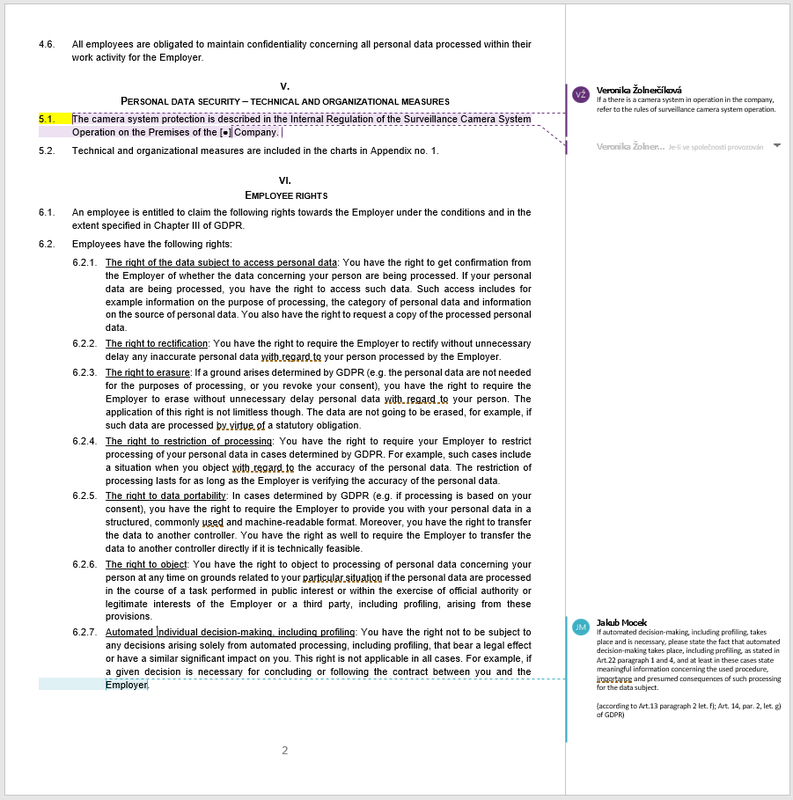 The documents are suplied with practical comments, tips and guideilines telling you how to adjust some articles and under what conditions they are necessary. 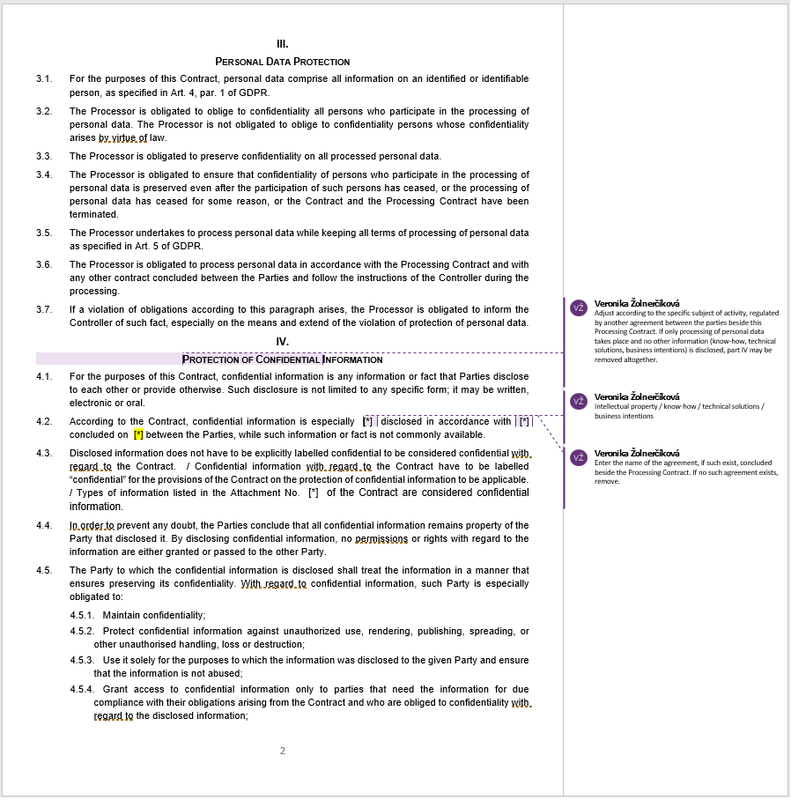 The value added of the documentation is enormous. 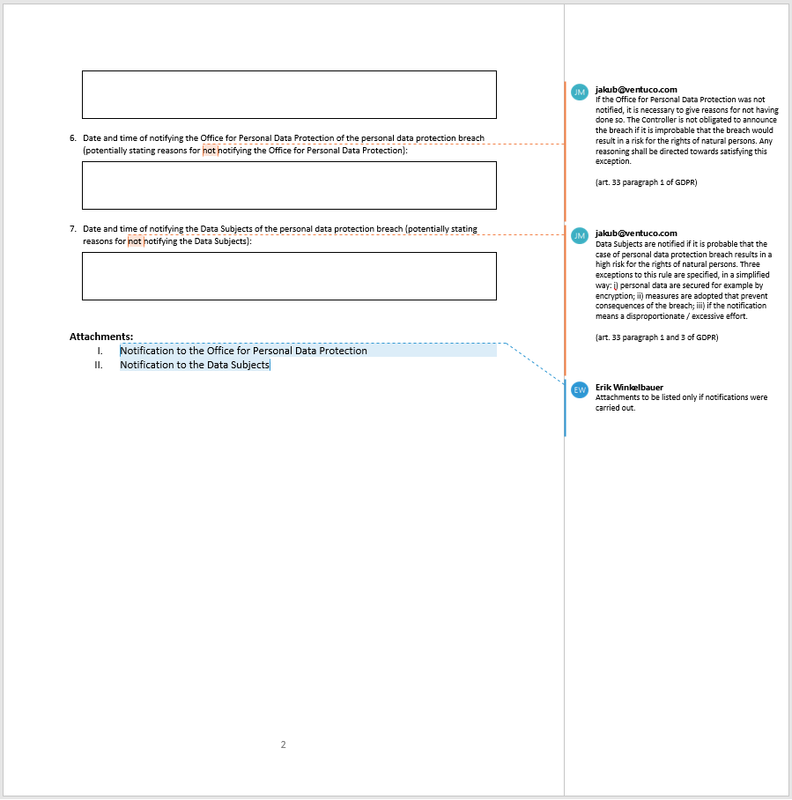 You can use it almost immediately and the extend of the documentation is unprecedented. 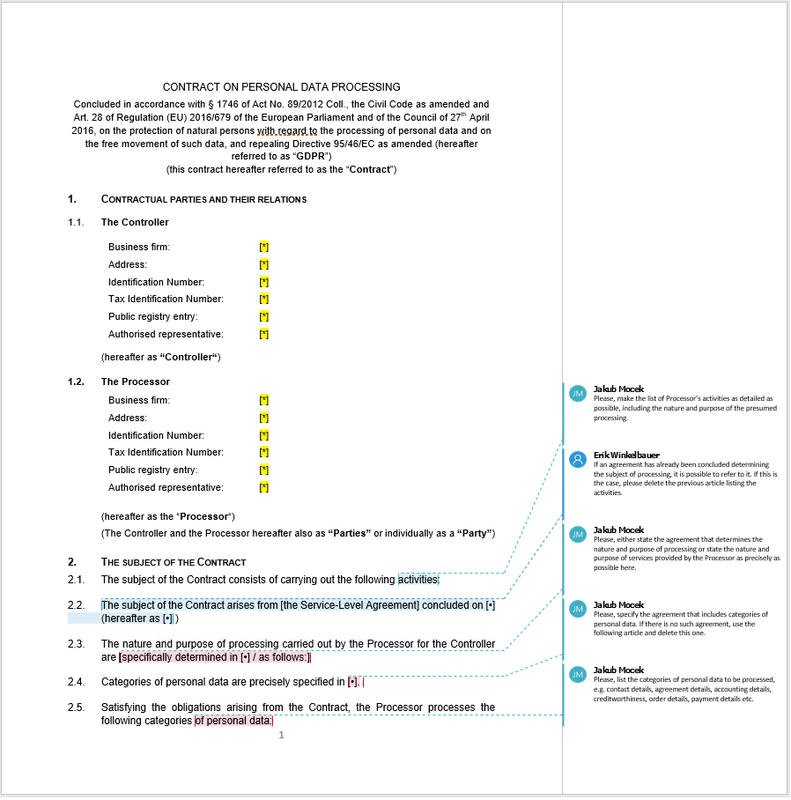 You can download model consent to processing, internal regulations, questionnaires for employees, processing contract, confidentiality contract, the regulation of the CCTV operation and many more. Not everyone runs a camera system, but we decided to cover all possible areas in order to provide you with a full set of documents. Module 3 leads you into our magical tools. You fill out your own company information. Then, you preppare individual Groups, i.e. categories of data subjects, according to our pre-set groups and the data you entered into the so-called Basich Chart in the implementation guide. The following step takes you to filling out your company Profile for each Group. Subsequently, the Profile serves as your company's online records of processing. The Prompter and the Key guide you through the process of completing the Profile. You'll know exactly what is required from you in each step and what we recommend. For example, you'll always know whether you have to include an item on the Information Board or not. The GDPR Information Board proves that you've met your obligation to inform individual categories of personal data subjects (= groups of subjects). Every organization has basically 3 groups of subjects whose personal data it processes: employees, partners (suppliers) and customers (purchasers). We pre-set the Information Board for each of these groups for your organization. 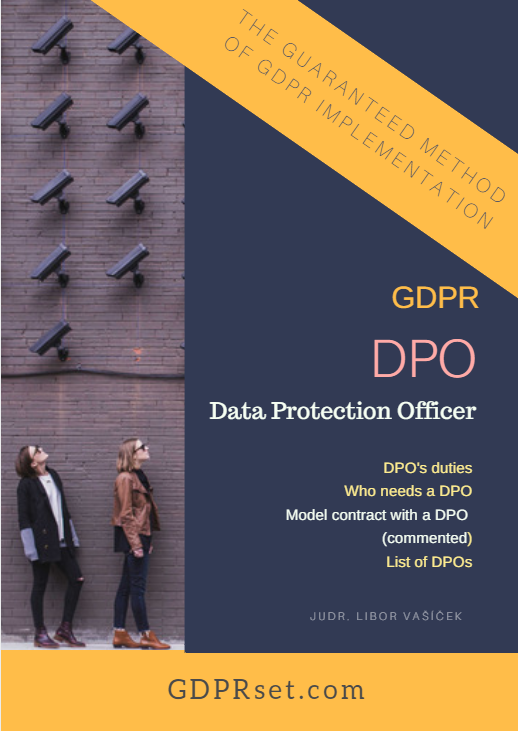 The GDPR profile and Information Board can be adjusted and added to according to current situation in your organization. If you're implementing new processing of personal data, you're expected to adjust your GDPR profile appropriately and thus add information to your Information Board. Your original URL links to the Information Board(s) will remain active and valid even after the adjustment. Thus, you don't need to send a special notification of these changes to your data subjects. As soon as you complete the GDPR Profile of your organisation, request an audit thereof carried out by a lawyer from a specialized legal office. How? 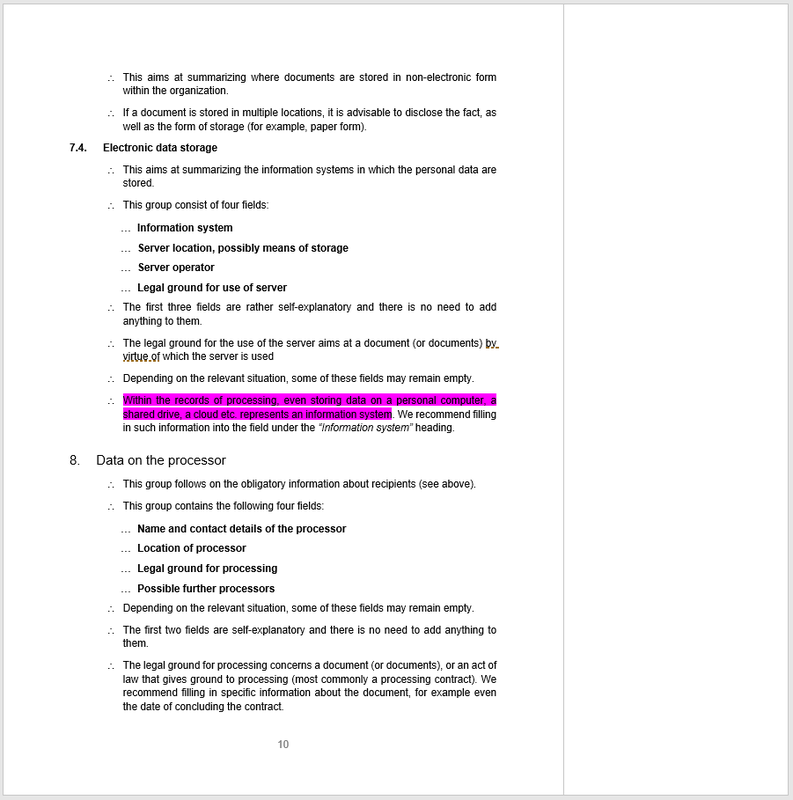 Simply click the relevant button in Module 4 and the lawyers will be immediately notified. Lawyers at Legal Partners will personally check the data filled out by you. If they find any flaws, they will let you know by email and ask you to rectify the imperfections. 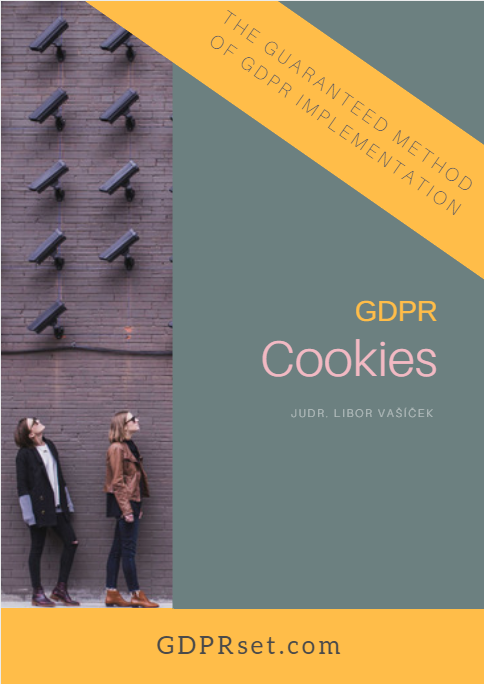 If your GDPR Profile passes the audit successfully, you will receive notification from our lawyer by email and continue into the following modules. Have you received a confirmation email sent by a lawyer at Legal Partners? Great! This means that Module 5 is open for you now. You can download your GDPR Compliance Badge. The Badge certifies that your GDPR Profile is correctly filled out and that your Information Board shows information that you are obligated to publish. 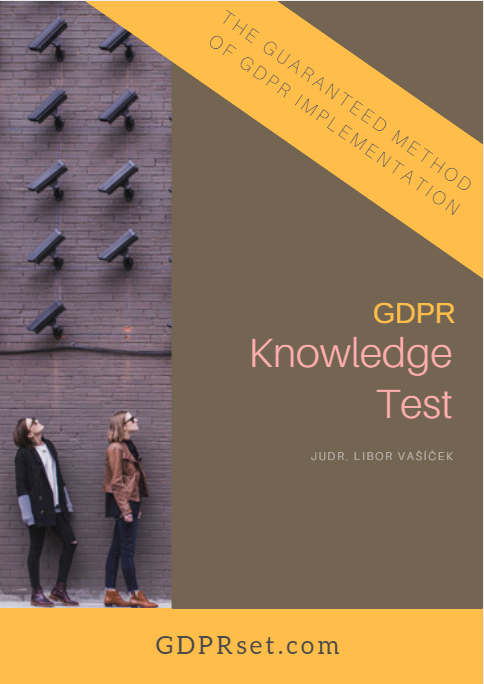 It represents a confirmation of GDPR compliance for you, as well as individual groups of data subjects whose personal data you process – i.e. employees, partners (suppliers) and customers (clients, purchasers). After downloading the Badge, place it on your website. Once you’ve done so, we'll prepare an informative email for you to send to individual groups of data subjects. 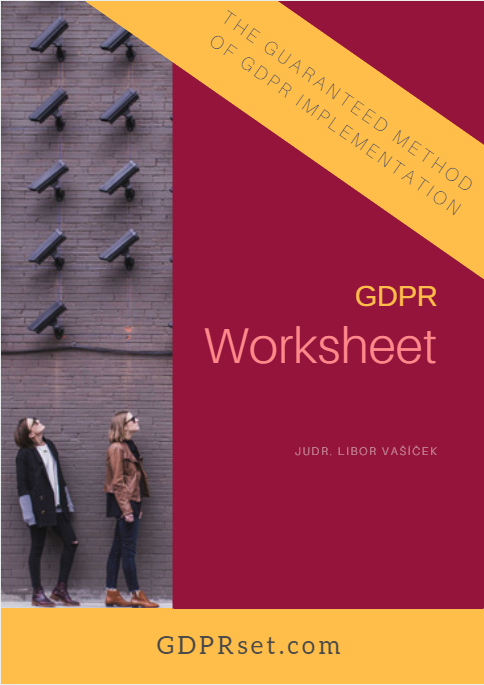 The email includes a notification of proper GDPR implementation in your organisation and information about where your Information Boards may be found. Moreover, data subjects can find out from the email who they can refer to if they intend to realize some of their rights. Upon your successful completion of the previous five modules, we grant you our Zero Penalty Guarantee. We firmly trust our implementation procedure and the tool. 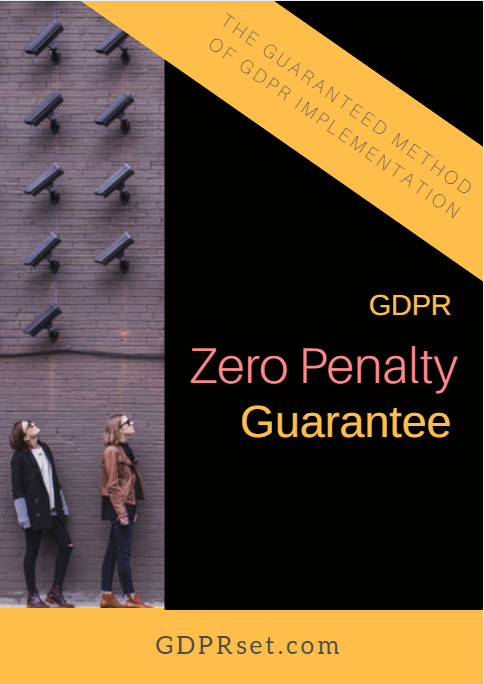 Therefore, we are able to grant you the guarantee that if the supervisory authority imposes a penalty on you for non-compliance with the obligations arising from the GDPR, you are entitled to a compensation up to the amount of the imposed sanction. 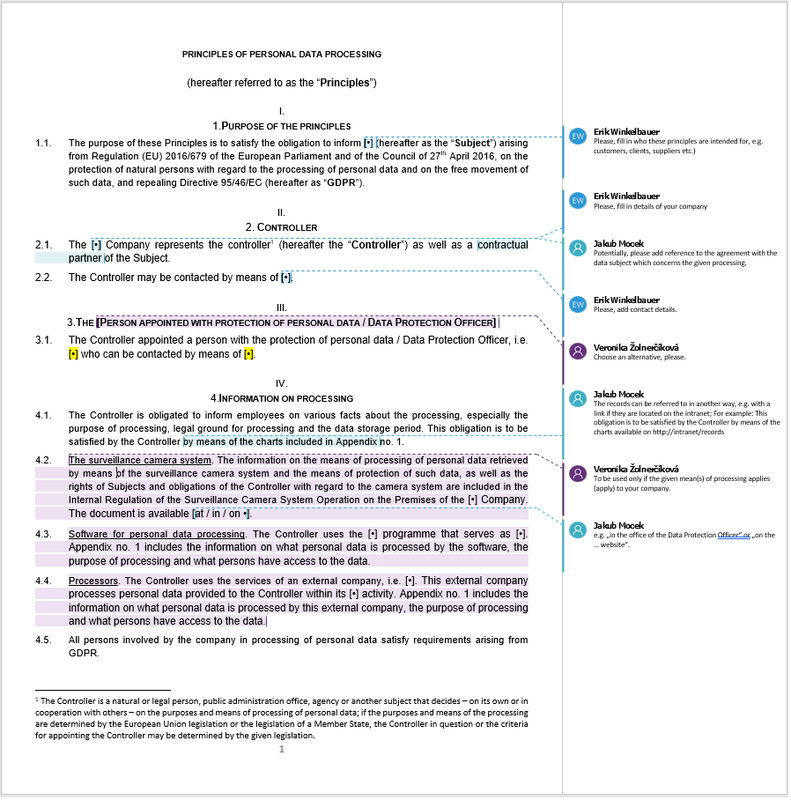 This guarantee applies provided that you follow our recommendations and instructions given to you during any of the previous modules or sent to you by this website or the lawyers at Legal Partners in the future. Meanwhile, we are going to watch new legislation, issued standpoints, court decisions etc. Any time we discover anything that is worth noticing, we will send you an email with our recommendations. This is our brief video explainer.